Gente di Mare Italian Genealogy › Community Forums › General › General Discussion Groups › Not understanding word??? Community Forums › General › General Discussion Groups › Not understanding word??? Posted: Sat Nov 07, 2009 11:21 am Post subject: Not understanding word??? 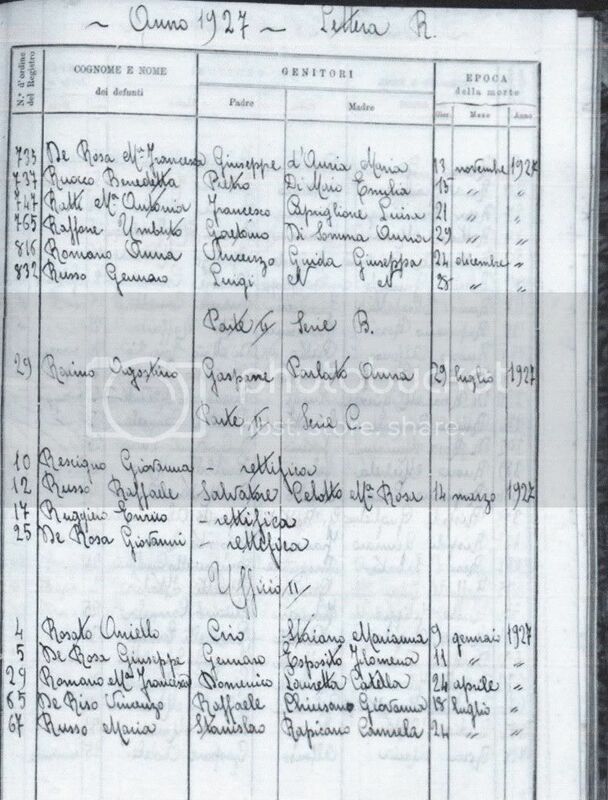 Why would the word "rettifica" be put in a column next to a name but without any reference to parents, etc. Not even sure if the number listed before the name is the actual registry no. Posted: Sat Nov 07, 2009 1:01 pm Post subject: Re: Not understanding word??? Posted: Sat Nov 07, 2009 3:19 pm Post subject: Re: Not understanding word??? Thanks, I will back up and find it. Will go to imageshack after I find it again. It's in my notes. Posted: Sat Nov 07, 2009 6:21 pm Post subject: Re: Not understanding word??? Finally found my notes and copy of what I found in the death index. Just a little confused. How do I know they are the same Giovanna? I do have 2 belong to different brothers and Natale is not one of them, he is from a different family. Posted: Sun Nov 08, 2009 4:36 am Post subject: Re: Not understanding word??? 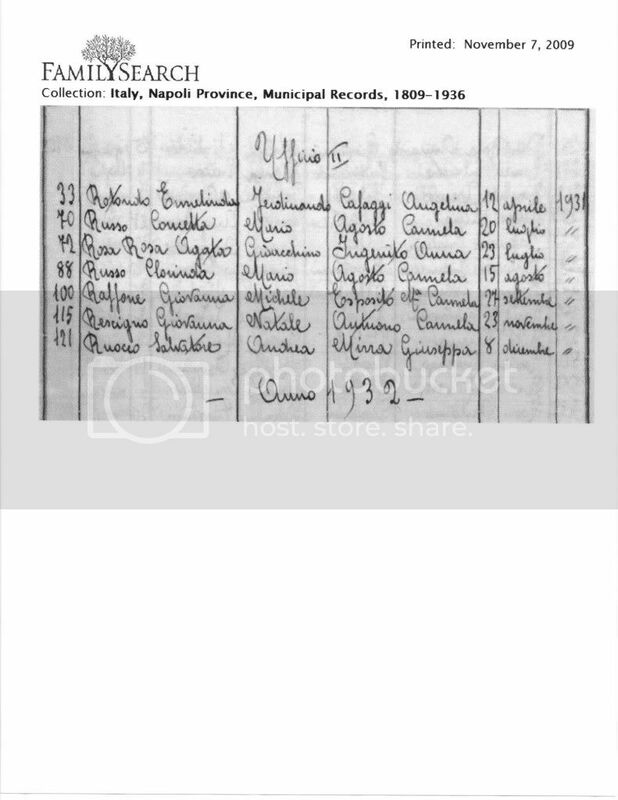 This is an index and to me it means that the record nr 10 of Part II series C for the year 1927 contains a modification (correction) about Giovanna Rescigno. You should check that record. Again, you need to check the actual record. Posted: Sun Nov 08, 2009 10:47 am Post subject: Re: Not understanding word??? Thanks Livio, will check it out.